Scotland has much more to offer than the famous cities of Edinburgh, Glasgow, and Aberdeen, including fascinating historical landmarks, and challenging ski slopes! If you’re traveling to the country’s capital, Edinburgh, try to plan your visit around the Edinburgh Fringe Festival, the world’s largest arts festival, which takes place every August. 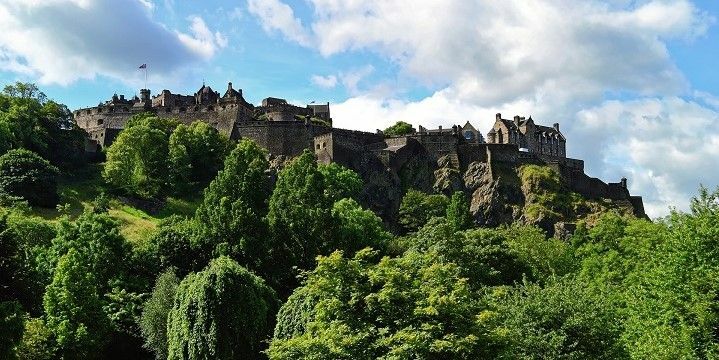 Also check out the Royal Mile, the city’s best shopping spot, and the 12th-century Edinburgh Castle! Edinburgh Castle dates back to the 12th century. Glasgow, located just one hour west of Edinburgh, is famous for its West End district, with quaint cobbled back streets and vintage boutiques. Stick around after the shops close, as this area is also a great nightlife spot. If you’re heading to Aberdeen in the North, visit the Rosemount area, which is home to plenty of independent shops, as well as Aberdeen’s only cheese shop. It’s also well worth taking a day trip from the city to see Balmoral Castle, which has been a royal residence since the mid-1800s. Its beautiful park is home to unique wildlife, including deer and grouse. Scotland has five top-notch ski resorts, the most famous of which is the Nevis Range. This range has a peak of 1,200 meters and is home to the UK’s only gondola system, which takes skiers to a height of 650 meters in just twelve minutes. Alternatively, the Glencoe Range in the West has eight ski lifts, and 20 challenging runs. The area is also a great spot for mountain biking and hiking in the summer. Passionate hikers should consider the West Highland Way. This 154-kilometer-long distance walking route starts just north of Glasgow and will take you through the stunning Scottish Highlands. The West Highland Way is great for hikers. Scotch (malt whisky) is Scotland’s most famous drink. There are plenty of distilleries you can visit throughout the country. If you can’t decide on one, why not visit the seven distilleries along the Malt Whisky Trail in the North of the country? If you prefer beer, head to one of Scotland’s many breweries. The Tennents Brewery in Glasgow, for example, opened its doors 450 years ago. If you book a tour in advance, you’ll get to taste some of the delicious brews! For a more modern experience, check out the newer Beer Factory in Edinburgh, which opened in 2015. The first reported sighting of the famous Loch Ness Monster (a fictional aquatic monster) occurred in the1930s. Since then, there have been hundreds of alleged sightings every year. 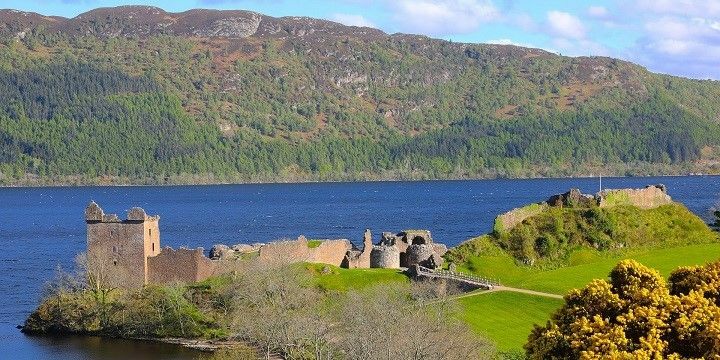 If you dare to visit the 37-kilometer-long loch (lake) near Inverness, and risk coming face-to-face with Nessie, be sure to also boat across the water to see the ruins of Urquhart Castle, which dates back to the 13th century. Urquhart Castle is located at the famous Loch Ness. Another great spot for beautiful lochs is the Trossachs National Park, which is just an hour’s drive from Glasgow. 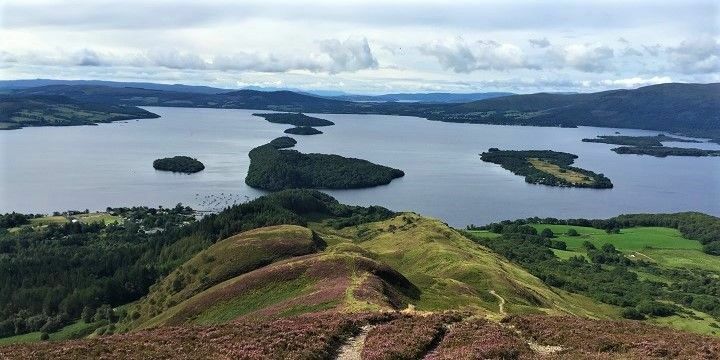 Here, you’ll find 22 impressive lakes, the most famous of which is Lomond: at nearly 40 kilometers long, this is the largest stretch of water in the UK. If NextStop24 helped you to choose your next travel destination, we'd be very grateful if you’d search for your accommodation and things to do in Scotland through these links. They're affiliate links, which means that we will receive a small commission for every booking made through them. There are no extra costs for you; you'll simply be helping to keep NextStop24 running. Thanks! we visited a large part of Scotland. Edinburgh, Glasgow, Glenfinnan, Mallaig, Skye Island which is gorgeous, Dornie, Ullapool, Scurie, Handa Island, Inverness, Fort Augustus, ... We loved the Glencoe A82 road, the famous bridge of Harry Potter, the old man of storr and many others. We make Scotland in van and the landscapes that are scrolling are all incredible .. Such cute and colorful shops and amazing restaurants and bars. Bonus: it's super easy to get around on foot, so you won't have to pay for public transport! Scotland is such a magical place, I would have been there for more days. We did 3 excursions by bus with some companies but my advise is to rent a car! If you are looking for nature, history and gorgeous places, this is your place!